We believe the average investor pays too much for financial advice. We also believe that most investors do not have a clear understanding of the fees they pay. Do you understand the fees you are being charged? The chart below summarizes the fees investors are potentially incurring. Contact us for a free portfolio and fee analysis. We believe it is the duty of financial advisors to provide clarity to clients about the type and amount of fees being paid and to disclose all conflicts of interest. At Entasis, we have a proactive and fully transparent portfolio discussion with clients that includes a detailed review of fees. 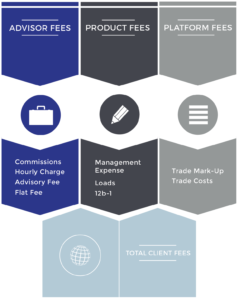 An example fee transparency sheet is included on this page as a reference for our fee model and process for disclosure with clients. A summary of fee categories is included below. Use our Fees Questionnaire to help question a financial advisor about compensation. Fees paid to an advisor for their services. Billing practices vary by advisor. Examples include an asset-based or advisory fee, flat dollar fees by service, hourly rates and commissions. Some advisors charge a mix of those structures. All forms can easily be summarized into an understandable dollar amount. Charges for certain investments that ultimately flow through to clients in the form of lower investment returns. These fees are not billed directly, but can have a large impact on long-term investment compounding if not managed. Mutual fund loads, 12b-1 fees and management fees are examples. Charges for trades such as commissions and mark-ups. These fees are incurred at the time trades occur. 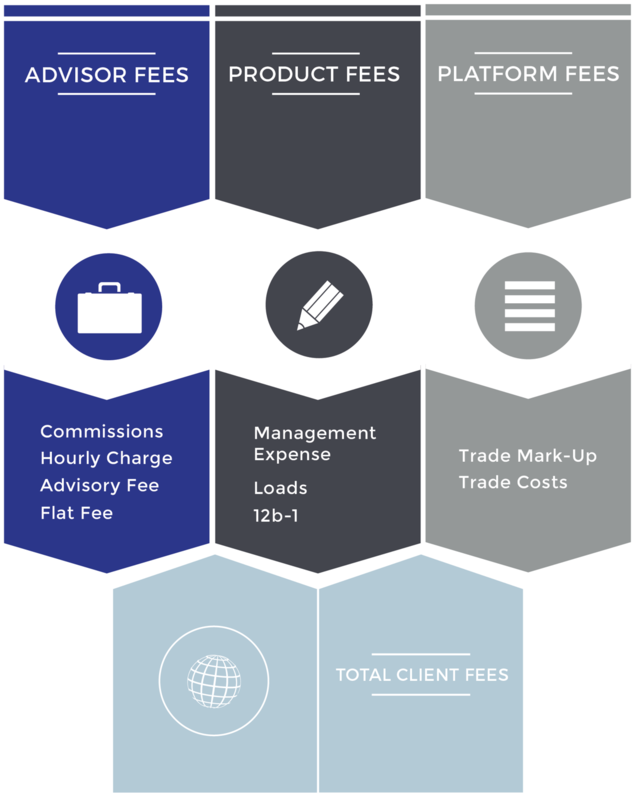 These fees can be a form of advisor compensation and lower the actual amount invested or raise the price of the investment purchased when initiating a position. The reverse is true when a security is sold. What is a 12B-1 Fee?